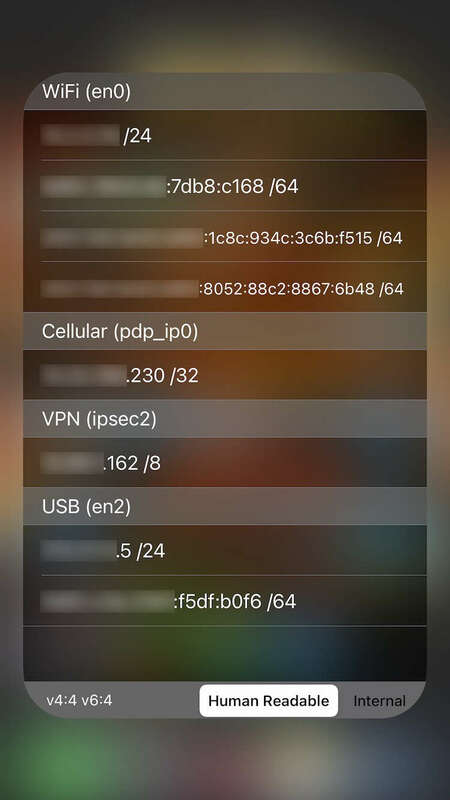 Displays the IP addresses of your device in the Control Center. Only the actual addresses of the device are shown, no requests to the internet are made for resolving any "public" IPv4 addresses. - Tapping any address copies it to the pasteboard. - The data gets refreshed automatically. Add the toggle to the Control Center from Settings>Control Center>Customize Controls. You can choose "IP addresses" which is a 3x1 sized module and shows your main addresses, 3D/long-pressing on it reveals IPv6 and all addresses. 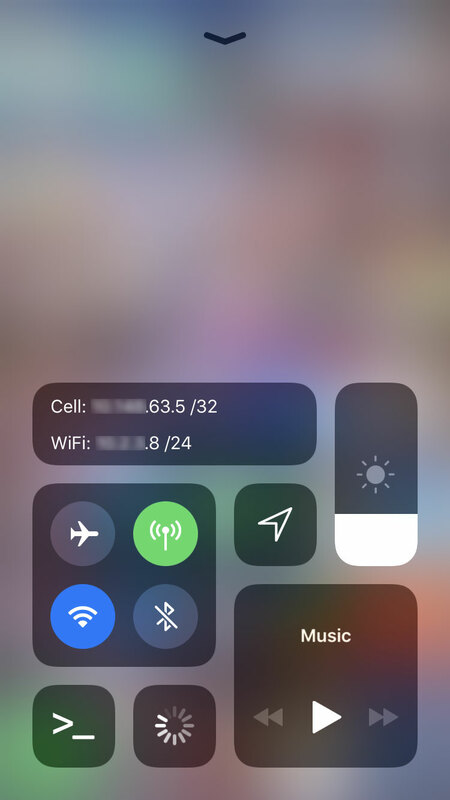 If your CC doesn't have room for a 3x1 sized module, choose the "IP button" (1x1 size), which you need to tap in order to see your IP addresses. I have not tested this on 5S/SE/iPads, so please report any possible issues to me (ie. I don't know what it looks like on these screen sizes). * Added support for A12 devices.